Forest Garden Arlington Summer House: is a great quality corner summer house. Featuring Ship-lap (Tongue and Groove) Construction using the 12mm premium cladding along with the factory applied pressure treatment the Arlington is a very durable and solid building. All of teh timber used is sustainably sourced (Forestry Stewardship Council Approved), Pressure Treated timber and features a fifteen year manufacturers guarantee against rot. 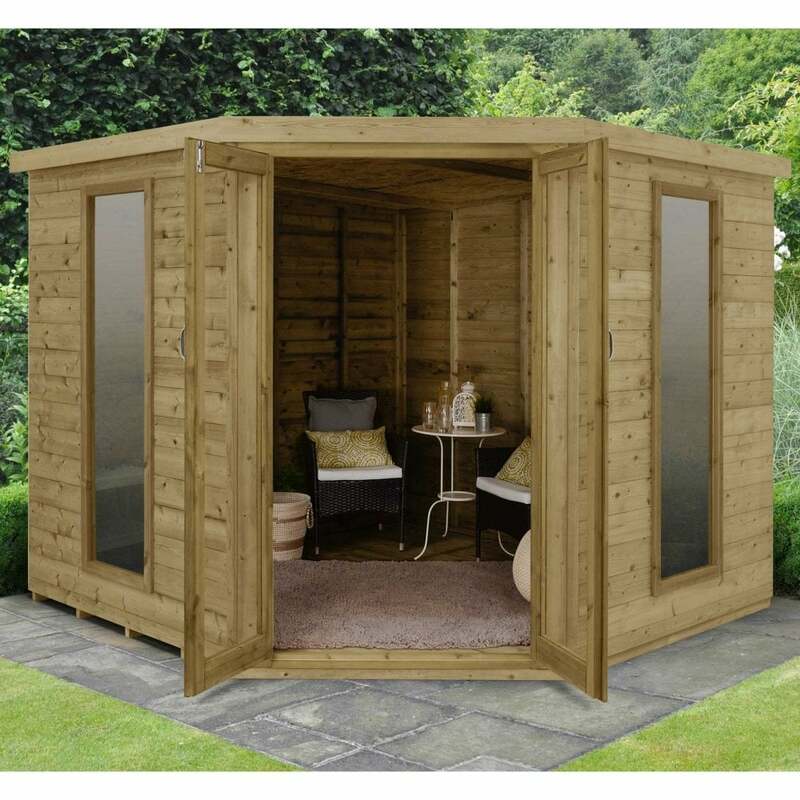 With a little heating the Arlington is ideal as a winter excape where you can really extend the garden season as well as the perfect summer house to enjoy the long evenings and weekends in the garden. Many summer houses are also used as storage solutions in the garden. With its double doors and spacious interior the Arlington 8x8 is simply ideal for that purpose.